After our scary experience with James the day before Easter, we were all feeling a little out of it. I was so glad my cousin Leah and her husband Ted were staying with us that night. We were able to work together to give the kids a fun day, plus I felt so much better having them in the house, just in case something happened again. Strength in numbers and all of that. Then it was egg hunt time. We’d originally planned on dying our eggs, but after spending several hours in the ER on Saturday we no longer had time for that! Instead, we drew on the eggs with markers, and then I filled them with confetti. Annabel was pleased with this, and that’s all that matters! The Easter Bunny hid those, plus 12 plastic eggs. And of course, we smashed the eggs, too. Once all the eggs were smashed, Leah sent Annabel and Ted on a scavenger hunt throughout the house. Annabel LOVED this, and I did, too. Back when we were kids, my brother and I used to make scavenger hunts for Leah and her sister to complete when they’d come to visit. The tradition continues! Don’t let that face fool you, he ate the whole thing. Annabel couldn’t stop hugging her brother. We were all keeping an extra-watchful eye on him. It was a good day with my babies. Your children are all so beautiful. I love all of the photos but the family photo is frame worthy! You have a gorgeous family! So glad you all had a great time. Beautiful family photograph. I am so happy ya’ll had a wonderful time on Easter. When I read about James episode I panicked, cried and prayed that everything would be A-OK. 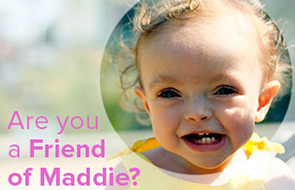 I have been reading your wonderful blog since before Maddie passed and I pray for your family each and everyday for the joy and happiness ya’ll deserve. You make such beautiful kids. I feel like Maddie looked just like you, Annie looks like her Dad, and James is such a great mix of all. And tell that boy, no more scaring his parents…and the Internet…to death anymore!!!!! Thinking a thousand and more positive thoughts for Thursday. Benign is a mixed blessing. Wishing for answers that ease your fragile hearts. I’m happy to see you were able to enjoy Easter. I totally made confetti eggs because of you guys. We have a house full of little boys and I thought what better way to celebrate then to smash eggs on heads. It was a MAJOR hit… Thanks Heather! I love them running out holding hands in the morning. How fun! Glad you had a great day. And uh when did James lose the baby face and turn into a little boy? !